This factory fresh ammunition is manufactured by Prvi Partizan. Headquartered in Užice, Serbia, Prvi Partizan is one of the largest modern ammunition manufacturers in the world. Best known for supplying ammunition to military forces and law enforcement around the globe, Prvi Partizan also manufactures high-quality sporting, hunting, and self-defense loads for civilian use. 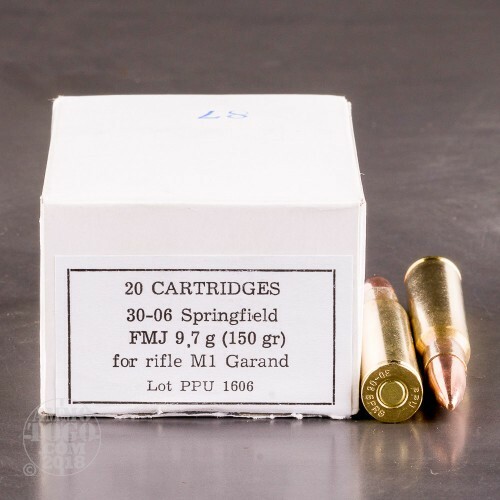 This package contains 20 rounds of Prvi Partizan .30-06 Springfield ammunition perfect for use in your M1 Garand. Each cartridge is loaded with a 150 grain full metal jacket (FMJ) projectile. 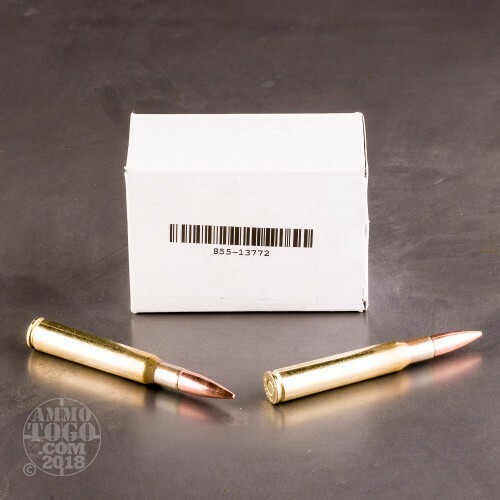 Delivering minimal terminal expansion and impressive accuracy, these rounds are best suited for target shooting, tactical drills, and recreational plinking. 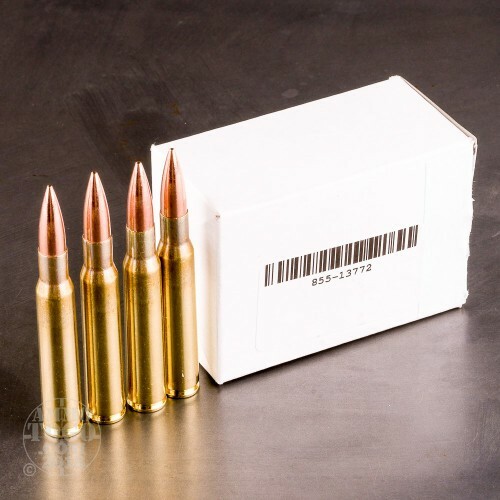 This factory fresh ammunition is 100 percent non-corrosive, boxer primed, non-magnetic, and brass cased. Each round produces a consistent muzzle velocity of 2700 feet per second and a muzzle energy of 2499 foot pounds. 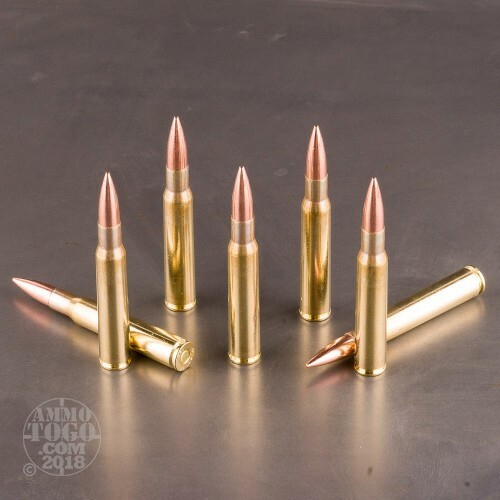 Loaded to slightly less pressures than standard commercial .30-06 cartridges, these rounds are easier on the operating rods of older M1 Garand firearms. This ammo is superb....I have never shot better with my M1 Garand. Will be buying more. I purchased this ammo, & it's unbelievable how accurate it is fired out of my 1943 Springfield Armory Garand!!!! I've fired a good amount of different .30-06 ammo from my weapon, & this is by far the most accurate I have tried yet. Try it, you'll be glad you did. You can't beat this ammo for the price, quality, & uniform accuracy. Bought the first batch on a whim. I was amazed when I was shooting half dollar sized groups at 100 yrds. with iron sights. Much better than the Greek surplus m-2 ball that I had been using. The second batch I bought I used in a match and shot 891/900. Pretty damn good. If you have a Garand get a few boxes and I guarantee you will be impressed. If the price was a dime lower per round, I would be buying 1000s rather than 100s.. great stuff!! !